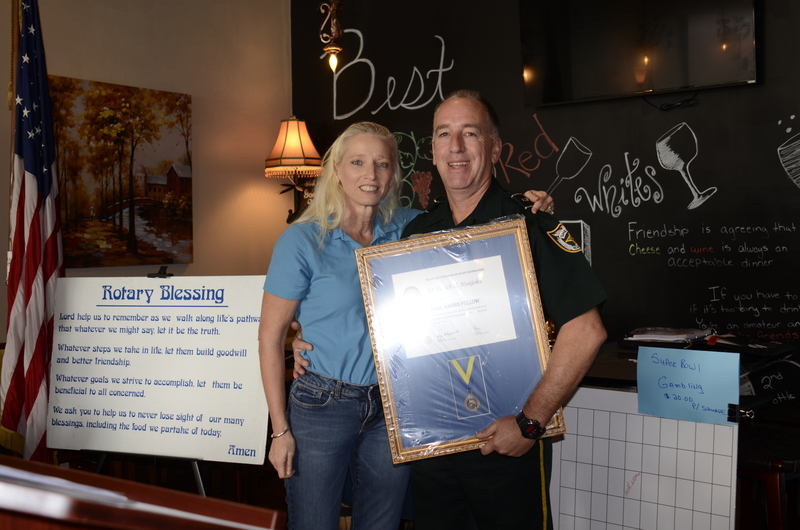 On September 10, 2015, Lt. Ulrich Naujoks was recognized as a Paul Harris Fellow. Lynn Balch, a charter Royal Palm Beach Rotary Member, was recognized as a multiple Paul Harris Fellow. A Paul Harris Fellow, when an individual gives $1,000 or more to the Annual Fund, PolioPlus, or an approved Rotary Foundation grant. An individual is recognized as a Multiple Paul Harris Fellow with each additional gift of $1,000. The generous contributions by these two Rotarians to The Rotary Foundation are essential to secure the growing of Rotary programs throughout the world. The Rotary Foundation recognizes donors to express Rotary’s gratitude for their commitment to the global mission of Rotary International. 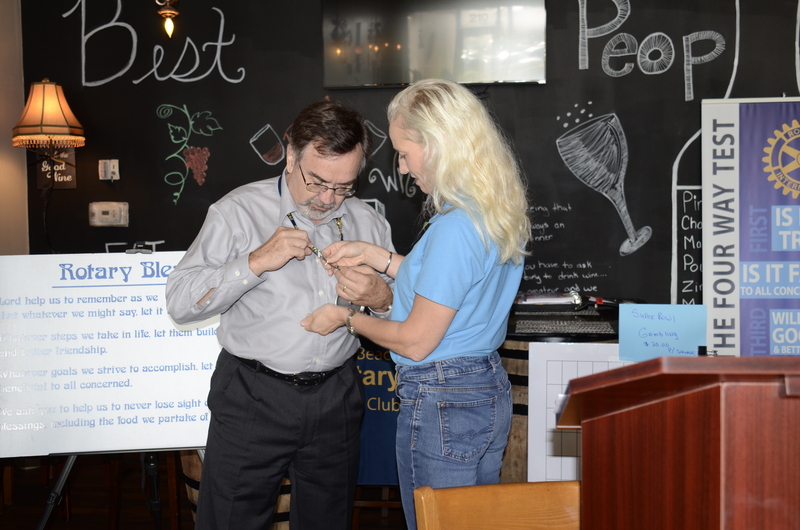 For more information about the Royal Palm Beach Rotary Club, visit www.rpbrotary.org.